Giles cartoon book. 1965/1966 cartoons. Twentieth series. By Chester Gould. Published by IDW, 2009. Good condition, some creases to covers but none inside, please see pictures. Includes a very nice color section! Edited and compiled by Edward Kutlowski -check out the pic for a great look----------------------------------------------------------------------------------- ----------------------------- ----------------------------------------------------- - grade vf. (KK20151a). The "SPECIAL" is simple. My de-collecting is your win! Look over the pictures and grab this one now for your Collection. Great coin! “KOOL COIN AAAA”. We will do this as quickly as possible. (KK20151b). The "SPECIAL" is simple. My de-collecting is your win! Look over the pictures and grab this one now for your Collection. “KOOL COIN AAAA”. We will do this as quickly as possible. Others are small and simple. This nice half-tab page comic is dated April 21, 1935. Paper dolls with Flapper Fanny's Easter Wardrobe! See large photo for the page. Anticipation for the new season reaches fever pitch in Issue Six of Heroes Magazine as Heroes creator Tim Kring reveals his expectations for Villains in a very exciting interview. And is season three going to be a bumper-size 35-episode run?. 1934 FLASH GORDON PAPER DOLLS Fantastic Fashions. Phantom fans around the world quickly snapped up the few promotions and tie-ins related to the movie. Own one of the Skull Rings that promoted the 1996 Paramount movie, The Phantom. 99p gets you any copy of the Striker comic, as seen in The Sun. All issues (1-24) are available. The price is for one issue and each copy is delivered as a .pdf via email. When making payment, please indicate the issue you want. As this is an auction site, all sales are final and returns are not accepted. 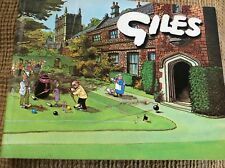 GILES - FOURTH SERIES - 1949 - ORIGINAL. This Giles comic book is in very good/tightly bound condition and in excellent condition when its age is taken into account. Fun adventures with Calvin and his stuffed tiger Hobbes! This nice third-page size comic strip is from December 3, 1978. FIRST COMIC PAGE! Fun detective comic strip adapted from the famous book series - a mystery solved each week! Scarce comic as these only ran in a few newspapers! This large full tab page size comic is dated July 14, 1957. Fun humor comic page with wonderful Good Girl artwork by the famous Gladys Parker! See large photo for the page. Keep checking back to see what new comic strip pages we have listed. Hardcover: 125 pages. sealed new copy. ISBN-13: 978-0976888550. ANDY CAPP WATCH. ALSO HAS CRACK IN CASE ABOVE ANDYS HEAD(SEE PHOTO). HAS OBVIOUSLY BEEN WELL WORN AS HAS WEAR TO STRAP RESULTING IN WORD/PICTURE LOSS. (ABOVE DIAL). NO. 9 & 25. IN OK CONDITION AS FOUND. NO. 10 & 12. IN OK CONDITION. Beetle Baily By Mort Walker 25 Comic Book Collection 60’s 70’s Era. 25 books Nice collection. Selling from my personal collection. Purchased new and stored in smoke free environment. If you have any question, please feel free to contact me. ---------- All items shipped with care. We do combine shipping, so checkout other items for sale! See images for overall condition. Unless noted all of our items come with a money back guarantee less shipping. We have been a eBay seller for over 19 years. Up for sale is a Mike Peters Autographed 1991 Reception Invitation in Sarasota, Florida at the Peters' house for Chancellor William H. Danforth & his wife & Grimm's Furry Tails Booklet (new, sealed). He was also very expensive and Mitch decided that he was simply too nice to be real. I have 14 nodders from when I was a child. They had an entire wall of them. I would love to simply know now what all they had?. (1) 44th SERIES, PUBLISHED IN 1990, ISBN 0 85079 212 6. This nice full page size comic is dated November 12, 1989. Fun comic page with Calvin and his stuffed Tiger Hobbes! See large scan for the comic page.